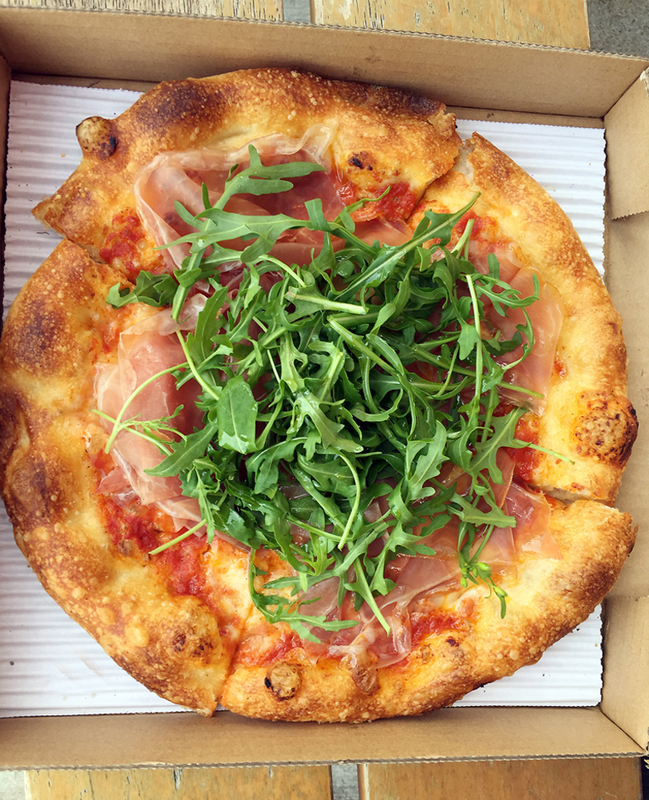 Prosciutto, rucola, tomato and mozzarella served with plenty of memories at Mozza. The first time I ever ate the exquisite pizza at Pizzeria Mozza in Los Angeles was also the first time I met Marvin. We lived on opposite ends of the state. Me in Silicon Valley, and he in the Arts District of Los Angeles, which was appropriate given his long career as a sound editor on movies ranging from “Bill and Ted’s Excellent Adventure” to “Basic Instinct” to “Erin Brokovich.” It wasn’t movies that brought us together, though, but food, of course. 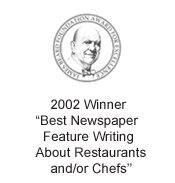 When I was the food editor of the San Jose Mercury News, I would often get emails from loyal readers far and wide, especially right after the food section published each Wednesday. None captivated me more than those from Marvin, who always had a thought or two about any story I wrote. First off, you had to love the fact that his email address was “KitchenSynch.” That alone was enough to make me smile whenever I saw it pop up in my inbox each week. Second, he shared my love of sweets and ginger; so how could I not feel a kinship with him? He’d often send me recipes he’d come across that he tried and knew I would like — for brioche buns, loaded ginger muffins, and “Babette’s Apple Cake.” He’d even send me care packages at the newspaper of ginger candies, ginger jams and ginger sodas he knew I’d appreciate. Third, he would email me recommendations for movies. Often obscure, many times foreign, ones I’d never heard of. But all were worth seeing in their own right. And last but not least, when my parents passed away in the same year, within two months of one another, it was Marvin who wrote the most touching words of comfort to me, lifting me from the shadows of devastating despair. After months and months of these email exchanges, I figured it was high time we met in person. My husband and I were headed to Los Angeles for a long weekend, so I emailed Marvin to see if he would like to meet up at Pizzeria Mozza. He agreed, readily. On that afternoon, my husband and I pulled up a little early to the restaurant, in search of nearby parking. As we did, we saw a bespectacled, white-haired man, old enough to be my father, already sitting patiently on the bench outside the restaurant. “How much do you want to bet that’s Marvin?” my husband asked with a chuckle. He would have won that bet, too, because it was indeed Marvin. 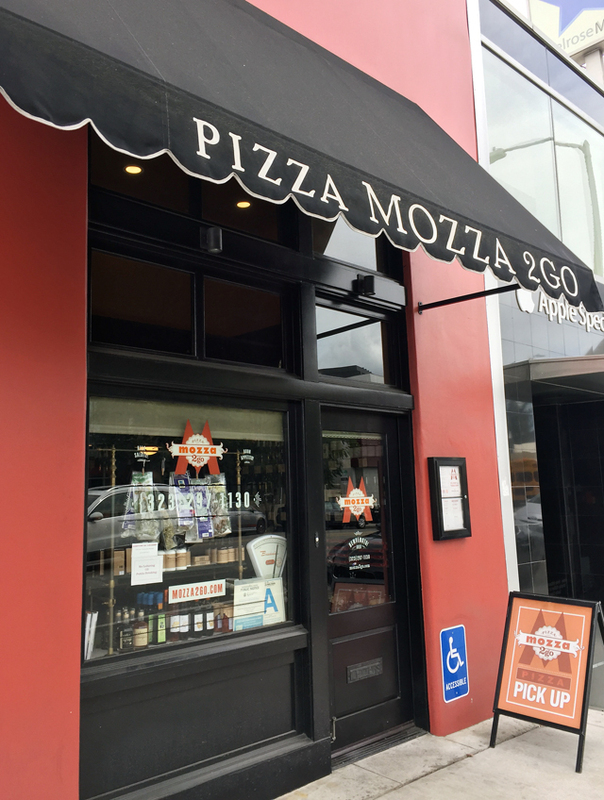 We greeted each other with hugs, then went inside to share our first tastes of the chewy, crisp, divine pizzas we had read so much about and longed to try. We talked about movies. We talked about food. Mostly, we just talked. It was that easy, that natural, that unencumbered. 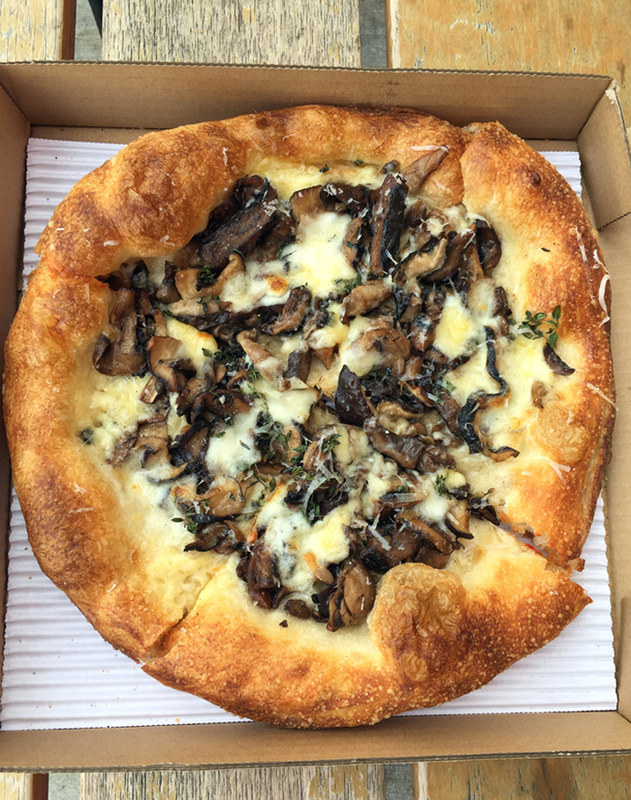 Mushroom, fontina, taleggio and thyme pizza from Mozza. So much so that when we had finished the last slices, my husband and I had already invited him to join us for lunch again two days later at a Japanese restaurant not far from where he lived, just before we would drive back home to the Bay Area. Like the first one, that lunch was full of laughter and warmth, the kind you experience only with old friends, even if he and I had just met. Over the years, Marvin continued to email his thoughts on food, though less so as time went by. We saw each other again when my husband and I took another trip to Los Angeles. And even after he retired, he would still on occasion send me titles of films to seek out on DVD or Netflix. I’d send him a Christmas card every year, though I don’t think he ever sent one in return. But I know that not everyone is into that holiday tradition. “Hmm…” I thought to myself. And left it at that. Maybe because I just didn’t want to contemplate its meaning. Last week, when my husband and I were driving around the streets of Los Angeles, I couldn’t help but think of Marvin, especially when we got take-out pizza from Mozza. So when we returned to the hotel, my husband opened up his laptop and Google’d Marvin’s name. And there it was. His obituary: Marvin Walowitz. He had died of cancer in September of last year at the age of 79. Even though the news wasn’t necessarily a complete surprise, I still felt pangs of sadness at the reality and finality of it all. There would be no more shared pizzas with Marvin. There would be no more KitchenSynch emails to look forward to. There would be no more recipes to discuss. Marvin was truly gone. It got me thinking about people who complain that they have no time to read. I feel bad for them. I really do. I think about what they’re missing that they’ll never have a clue about. It might be news with the gravity to change the world. It might be a mere frivolity that evokes a laugh to lighten the day. Or it might just be missives on food, films, and family that lead to a touching friendship to be valued for all time. Here’s to Marvin, who taught me that — and so much more. my daughter to all of the top rated venues in LV, but she wanted to go to the Golden Steer for her 21st birthday because of it’s traditional ambiance. Out of every place we dined, we enjoyed the GS the most. 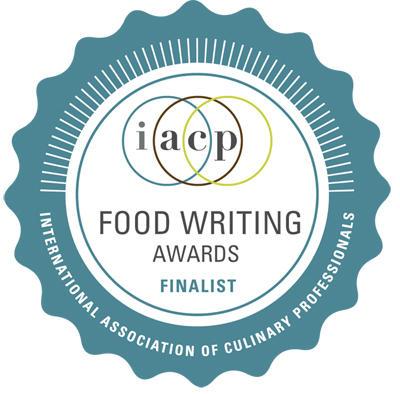 The food was unsurpassed, the service exceptional, and the experience absolutely perfect. She got to sit in the Marilyn Monroe booth, and we were charmed beyond our expectations. I am looking forward to my next trip back especially to dine there again. This was perhaps the best dinner house I have enjoyed among my many travels in the last few years. Claudette: That is so cute about your Dad doing that. 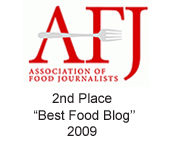 It’s amazing how food memories are among are most prized, isn’t it? What a wonderful, loving tribute to Marvin. I’m sure he’s smiling from above. We recently lost a friend in our work/art circle so this makes it all the more poignant and relevant. Tami: Condolences to you on the loss of your friend. It just makes you realize how precious life is and how we need to take time out of our busy lives for the ones we love to foster those important connections that have such a lasting impact on us.